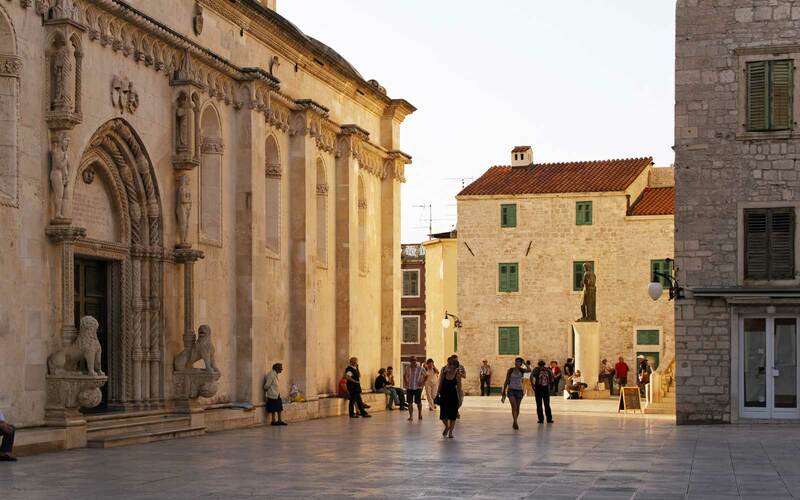 If you're a cruise skeptic, seeing the Dalmatian Coast this way will totally change your mind. I had never been to Vis, even though it’s only 30 minutes away by boat. Jadrolinija, the extensive Croatian ferry network that is the lifeline for the islands, doesn’t go there directly from Hvar. By the time you take the ferry two hours to the city of Split and then another two hours out to Vis, you’ve killed the whole day. I understood the logic of this system after talking to one of my neighbors, a Hvar native who hadn’t been to Vis either. “Why would I want to go there?” she asked me in some surprise. The ferry system is designed for natives like her who use it to work and shop on the mainland — not for island sightseeing. All of which is to say that the best way — indeed, the only way — to revel in the full glory of the Dalmatian Coast, from the lush peninsula of Istria at the top to the medieval walled city of Dubrovnik at the bottom and Vis right smack in the middle, is to find a cruise ship that will hop from port to port in a way that few of Jadrolinja’s ferries seem to want to do. Now, I am not ordinarily a big fan of cruise ships: I prefer my buildings vertical and stable, not horizontal and bobbing. But the Crystal Esprit, which does regular weeklong sailings in the Adriatic from May through September, is different. Sleekly retrofitted by Crystal Yacht Expedition Cruises in 2015, it carries only 62 passengers. The cabins are roomy and plush, and the inside and outside bars, lounges, and restaurants all have a clubby atmosphere. So I did not hesitate to embark in Venice for a seven-day cruise along the coast, making port at some places I already knew well and others I’d been meaning to see for years but suspected I would never get to. The fishing port of Rovinj, our first stop, sits about midway down the western coast of Istria, the arrowhead-shaped hump that juts into the Adriatic just south of Trieste, Italy. Road signs are in Croatian and Italian, and Italy’s happy influence has given Istria a reputation for some of Croatia’s best eating and drinking. With that in mind, I set out with a small group of passengers to the medieval town of Motovun, about a 45-minute bus ride inland. The Venetians built this remote hilltop stronghold to control access to the forests of Mediterranean oak below, which they used to construct their naval galleys. But it turns out that truffles love to nestle in the roots of these oaks, and so we gorged on a ridiculously rich polenta with black truffles at Mondo restaurant, a ramshackle collection of rooms perched by the steep cobblestoned path to the hilltop. We bought local truffle cheese and jars of black truffles to take home. And we listened to the tale of Giancarlo Zigante, who in 1999 found what was then the largest white truffle in history — it weighed 2.9 pounds — according to the Guinness Book of World Records. He dubbed it the Millennium Truffle, and, after spurning extravagant offers from around the world, shared it with his friends. Good for you, Giancarlo! On board the Crystal Esprit, we formed little cliques and gossiped cattily about the other cliques. A posh English foursome who played bridge every night took a lot of heat, but I don’t recall why. I fell in with a group of couples that included a former FBI counterterrorism agent, an accountant from New Jersey, and an English travel agent. The travel agent’s wife brought along a canister of anti-seasickness pills, but she hardly took any. The Crystal Esprit is a smooth-sailing ship, and the Dalmatian waters are exceptionally boat-friendly: the sea stays deep almost to the shoreline—and there’s virtually no commercial traffic to avoid. After Rovinj, we put in at Šibenik, where the Krka River meets the sea. A short drive inland, the Krka tumbles over its travertine bed in a series of seven dazzling waterfalls that bring in tourists from all over—another not-too-distant but oddly inaccessible landmark crossed off my bucket list. 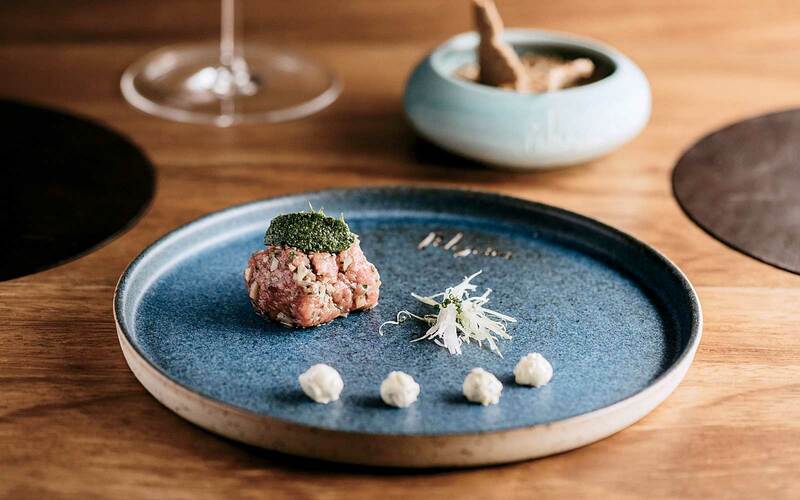 Back in Šibenik, the FBI couple and I sampled ingeniously reimagined, traditional Dalmatian dishes at Pelegrini, one of only three Michelin-starred restaurants in the entire country (the cubes of beef tongue breaded with sage and mushroom duxelles were a standout). After that, it was on to Vis, and, I have to say, it is exquisite. Like so many of these islands, it has a craggy spine of limestone, but its landscape is particularly savage and wild. Marshal Tito holed up in the caves at the center of the island toward the end of World War II. It was here that he negotiated the future of Yugoslavia. Back in the day, people stayed put; our guide said his great-great-grand-mother lived inland and never once saw the sea, only a few miles away. Charming fishing villages are in ample supply in Croatia, but Komiža on Vis has got to be among the top three. The handsome fortress overlooking the harbor was built as a defense against pirates and paid for by a fish tax—the record catch here is 3 million sardines in a single day. (The fortress is now a museum that claims the world’s largest collection of knots. Just saying.) Every December 6, the people of Komiža burn a fishing boat as an offering to Saint Nicholas, then bless new boats with the ashes. On Hvar, I bypassed group activities and went straight to my house, where workmen were building low stone enclosures called jerulas around the two olive trees in my garden. (I wrote about restoring my house for Travel + Leisure in 2016.) I am honor bound to report, however, that some of my newfound friends got extra merry on an excursion to the Tomić winery in the town of Jelsa. Who can blame them? Croatian wine has been making a name for itself in the past 10 or so years, and vintner Andro Tomić, who runs the winery and produces a potent Plavac Mali, is among the reasons why. Next up was Korčula, where legend has it that Marco Polo was born. We were faced with a dilemma: take a dreamy sailboat cruise around the majestic walled harbor, or hang back and watch the broadcast of Prince Harry and Meghan Markle’s wedding shipboard. In the end, we managed both. Anne, our group’s English rose, collaborated with the Crystal Esprit’s heroically flexible chef, and we returned from the cruise to a proper buffet of fresh-baked scones, with cream and strawberry jam, and finger sandwiches of smoked salmon and cucumber (“With the crusts cut off!” Anne announced triumphantly.) This kind of bend-over-backward helpfulness characterized the ship’s whole crew.